In 2007, the Khlong Amphawa community was granted an Honorable Mention Award from the UNESCO Asia–Pacific Heritage Awards for Culture Heritage Conservation as a result of its successful collaboration between the government and the private sector to preserve the local culture and architecture. Anything that one could possibly want to buy is available at this market; food, souvenirs, decorative items for the house, desserts, refreshments and so much more. 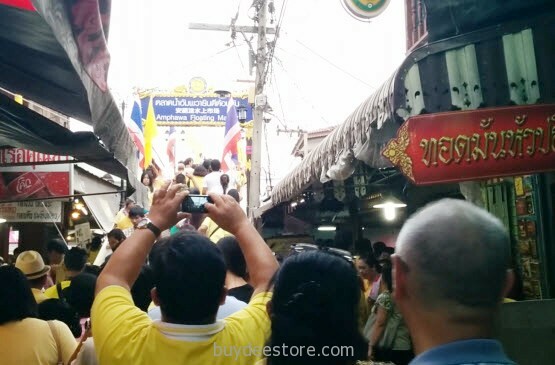 If you have a chance to visit Bangkok, don’t miss this tour! You will never forget the fantastic atmosphere and the remarkable scenery around the market. The boat ride along the Maeklong River, and the small canal along the floating market, will become an unforgettable memory of your trip to Thailand. Amphawa is one of the farming districts to the southeast of Bangkok. It is rich in the beautiful scenery of fruit plantations, orchards, and a traditional way of life surrounded by man-made canals. 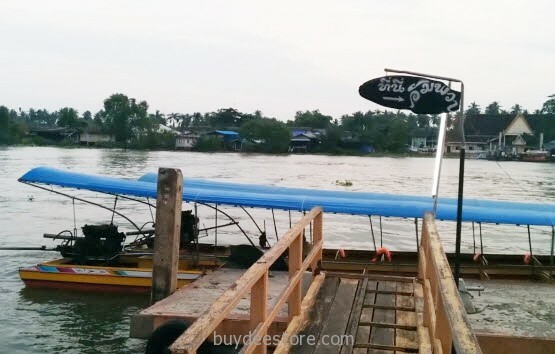 The floating market actually developed in order to support the economic activities of the farmers. Our program begins in the afternoon, taking a fascinating trip to explore a new floating market. It is a great opportunity to observe the actual way of life that has evolved from earlier ways of living to today. Upon our arrival at the Amphawa Floating Market, we board a small, traditional vessel and explore the local lifestyle of the people along the Meklong River, as well as the floating market, where vendors are selling fresh fruits, vegetables, souvenirs, decorative items and food along narrow canals and waterways. When the boat ride ends, you will have some time to continue your explorations on your own. Walking along the canal and through the marketplace, which has an enormous variety of locally-made products, will be a fascinating experience, creating unforgettable memories. One can add even more color to this trip by taking a short walk further into the fruit plantation area, or by taking an optional boat ride along the canals. To visit, by car, take Highway 35 (Thon Buri–Pak Tho) to Km 63. Drive through the Samut Songkhram city to take Highway 325 (Samut Songkhram–Bang Phae). At Km 36-37, take a left turn toward the King Rama II Memorial Park. The market is located near the King Rama II Memorial Park. 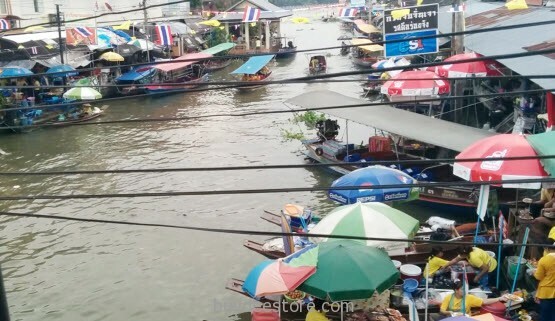 If you travel by bus, take the Bangkok–Ratchaburi–Damnoen Saduak bus and get off at Amphawa Market.